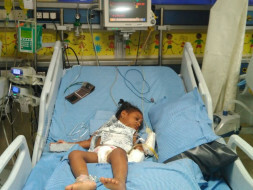 A few days back 2-year-old Baby Grice was diagnosed with acute liver failure. Acute liver failure is the appearance of severe complications rapidly after the first signs of liver disease (such as jaundice) and indicates that the liver has sustained severe damage of close to 80-90%. 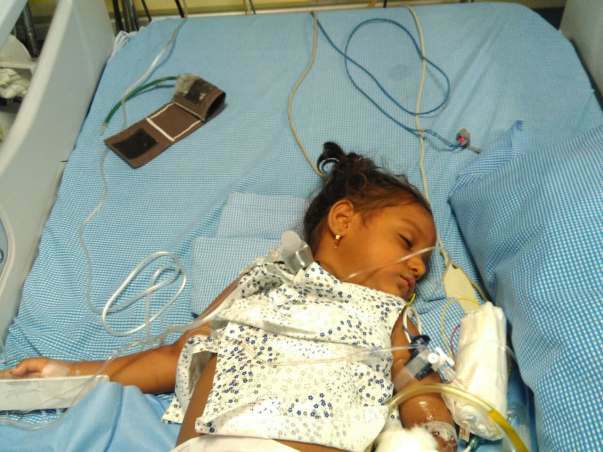 Symptoms include high fever, swelling of the stomach, yellow eyes, severe weakness. Grice is far too young for such a severe condition and now her condition is becoming more and more critical as each day goes by without treatment. She needs to urgently undergo a liver transplant in order to survive. 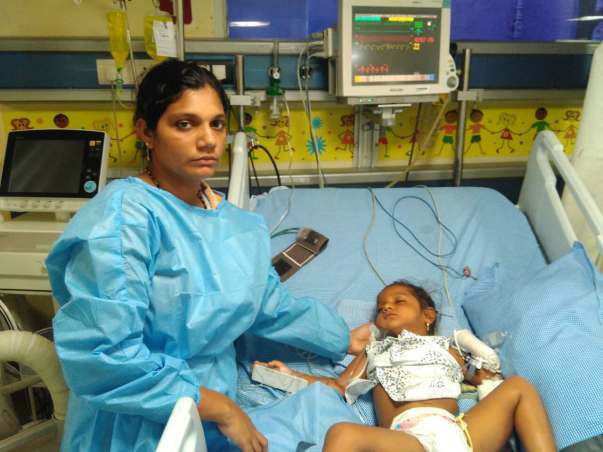 The total cost of a transplant and treatment is around 16 lakh Rs. The doctors are of the opinion that medicines alone won't help save Grice. 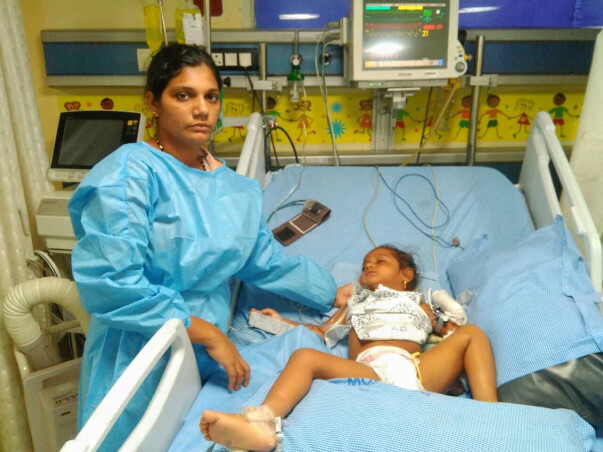 She needs a liver transplant soon without which her chances of survival are minimal. The doctors are also worried about the Mary getting seizures before the transplant. If that happens, her brain will be severely affected. The consequences of that would be irreversible. Unfortunately, Grace's parents earn a meagre monthly salary of just 7000 Rs per month. For them to pay such a huge amount is beyond affordable. But the fear of losing their daughter is beyond anything else and they are willing to do whatever it takes to save their daughter. "I don't even go to the hospital room to see my daughter because I get sacred. She is lying there in the ICU with all those monitors beeping and needles piercing her tiny arms, it breaks this father's heart to see her like this. My baby begs us for food but we can't give her even that much," said the father as he breaks down. Your contribution can help save Grice and give her the treatment she deserves. 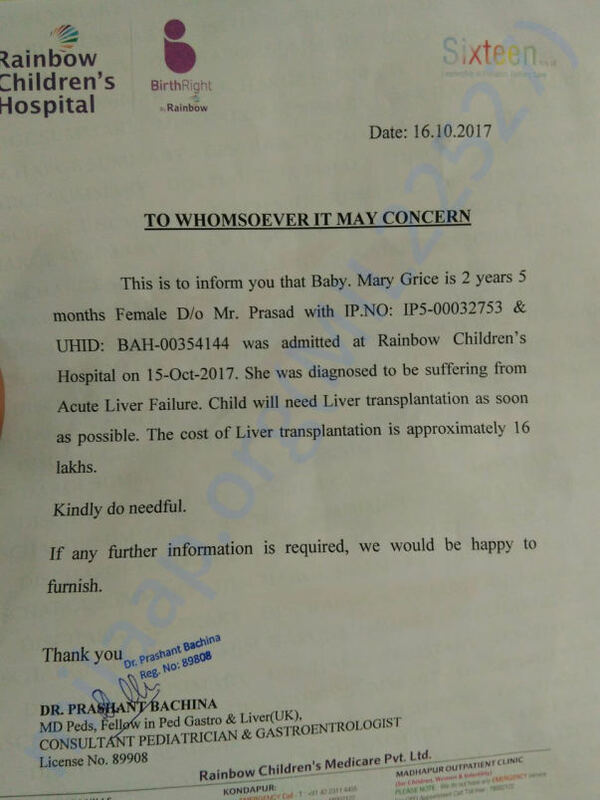 Will Pray to God to help Her get a Liver Transplant soon.